This 14k gold lab grown diamond wedding band is designed with a touch of mystery and luxury. On the beveled edges are glistening diamonds neatly pave set, while the interior is carved with heart motifs. The Egyptian hieroglyphics, which date back to 2000-1800 BC, considered a circle to be a powerful symbol of eternity. 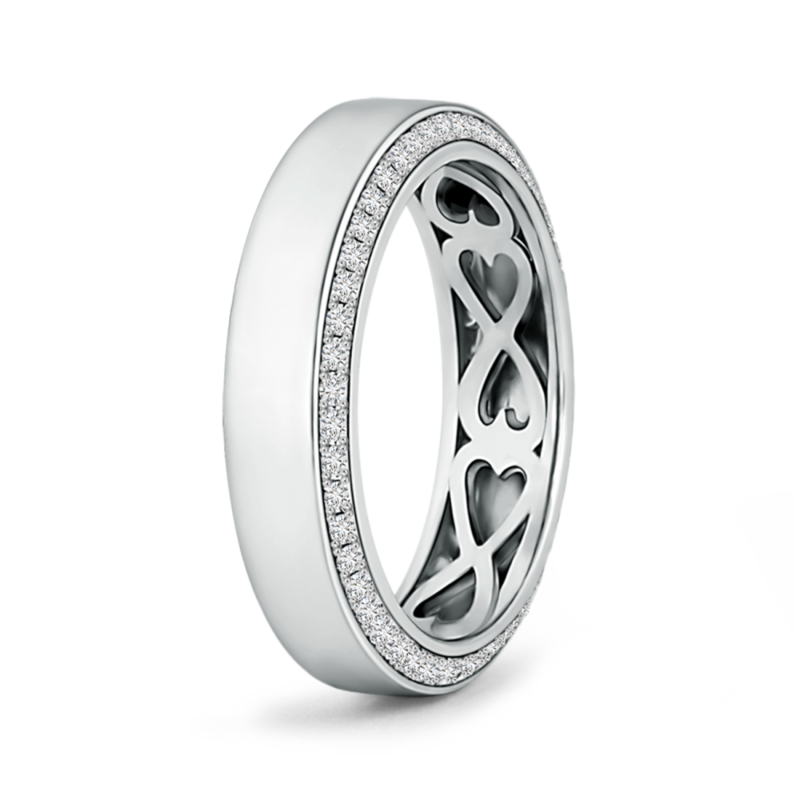 Since then, this design has been used extensively across the world in wedding rings and other jewelry pieces as a representation of everlasting love and commitment. Its sentimental value is displayed with the help of stones that are encrusted in the neverending circular metal. This intricately designed and skillfully crafted product by Pure Ignis is the perfect example of this fascinating jewelry style.